Two things about Madrid… everything starts late and everybody smokes! GLAM room at Vincci Hotel Soho. The toiletries are all Hermes D'Orange Vert. Heaven! This mornings holy breakfast. The waiter said that this egg sandwich is trademarked. I believe him. Went to a beautiful church called Jesus de Medinaceli. 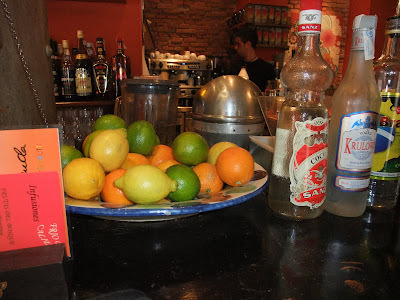 Chueca… if the East Village and Chelsea had a baby, it would be Chueca! Fun! We're going back tonight! you're in madrid? soooo jealous. and that 'hood sounds like fun too.